Cromford in Derbyshire, is a place many people simply pass through on their way to the Matlocks, Bakewell and other northerly places, but Cromford is very definitely worth taking a closer look at, because it is steeped in industrial history and often called the cradle of the industrial revolution. 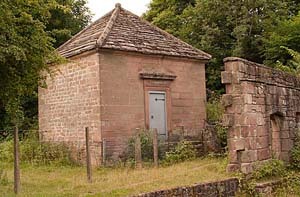 Before 1770, Cromford was little more than a cluster of cottages around an old packhorse bridge and a chapel where travellers gave thanks for a safe journey. All that was soon to change with the arrival of one man, Richard Arkwright. Richard Arkwright was born in 1732 in Preston, the youngest of 13 children in a poor family. He was apprenticed to a barber in Bolton and acquired a secret method for dyeing hair for the manufacture of wigs and his travels brought him in contact with people who were concerned with weaving and spinning. When the fashion for wigs declined, he looked to mechanical inventions in the field of textiles to make his fortune. By 1761, James Hargreaves had invented his spinning jenny and a machine for carding cotton had been introduced to England. These massive machines called for considerably skilled labour and the spinning jenny produced an inferior yarn. With the help of a clock maker called John Key, Arkwright set about the construction of a spinning machine that produced a stronger yarn. Having developed a machine, he moved to Nottingham, the centre of the hosiery industry and built a mill with the financial support of 2 wealthy businessmen, Samuel Need and Jedediah Strutt. 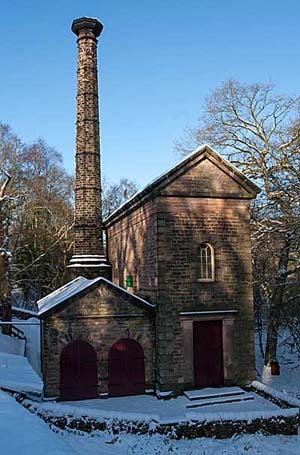 For power he used horses which proved expensive, but the mill did flourish and soon he was looking to expand but needed a different source of power. 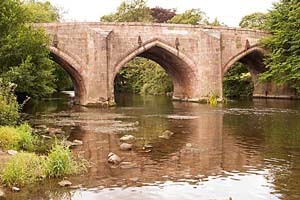 He had heard that a mill was being run sucessfully in Derby using the power of the river Derwent and started looking for an area suitable for his needs when he came across Cromford. 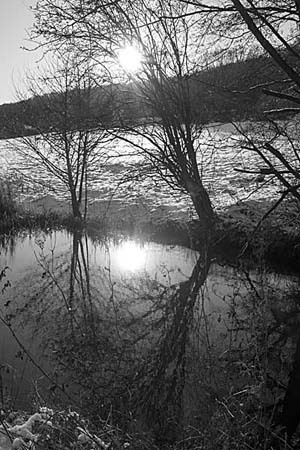 He saw that here, power was plentiful in the shape of Bonsall Brook and the Cromford moor sough, a drainage channel from nearby lead mines, and that there was a ready supply of cheap labour with the decline of the lead mining industry. 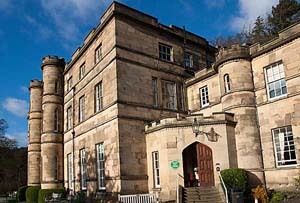 He began to build the worlds first successful water powered cotton spinning mill here in 1771 which soon became so successful that he was able to build other mills including Haarlem mill in nearby Wirksworth and Masson mill in Matlock Bath. Others copied his ideas and soon water powered cotton spinning mills began to spring up in Europe and America. At first he used labour from the local farming and mining community but as production increased he advertised and workers were brought in from other areas. He especially asked for large families to come and join the work force and a whole town was constructed to house them, rows of cottages, a school, a chapel and a hotel.The pattern for later industrial towns had emerged. 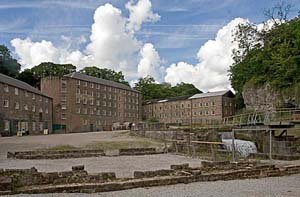 North Street in Cromford was built in 1776 and still to this day consists of terraced 3 storey buildings which were used to house the mill workers. A school was built at its far end, as Arkwright had insisted that children who came to work in the mill could read and write. This was the first planned street in Derbyshire and set a high standard not previously seen before. 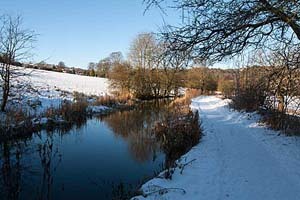 Initially, communications were a problem, so the Cromford canal was built in the early 1790`s to link up with the Erewash canal which ran south east to Nottingham. 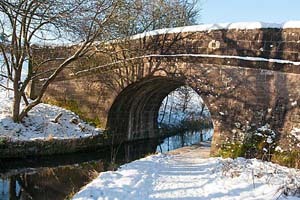 A turnpike road was opened in 1817 and in the 1830`s, the Cromford and High Peak railway was constructed which linked the Cromford canal to the Peak Forest canal at Whaley Bridge, thus linking the river Trent with the river Mersey. The original idea was to build a canal but costs involved in cutting through the Derbyshire hills were prohibitive. Many of the inclines on the railway were too steep for trains and wagons had to be pulled by attached chains or wires which were wound along the track by large steam engines at the top of each incline. Only Middleton Top engine remains, having been lovingly restored, and is steamed regularly. Horses were used to pull the wagons on the flat sections and the track ran for 33 miles and climbed 990 feet. The horses were soon replaced by mobile steam trains but still it took 16 hours to travel the length of the track. 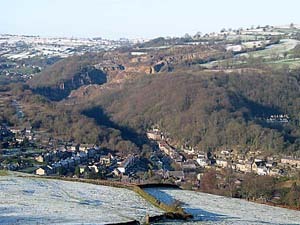 The path of the old railway line is now known as the High Peak Trail and open to the public for walking and horse riding alike. An interesting walk of about 3 and 1/2 miles distance can be had by starting at the main canal car park and following the canal down for about a mile until you reach a bridge. 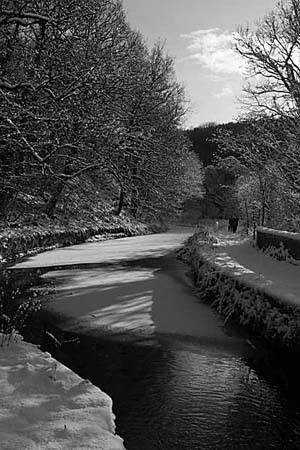 Across the bridge is what was known as High Peak Junction and the start of the High Peak Trail. Before crossing the bridge however, continue for a 1/4 of a mile to the Leawood pump station. Across the canal here is a wharf and a warehouse. Return to the bridge and cross it. 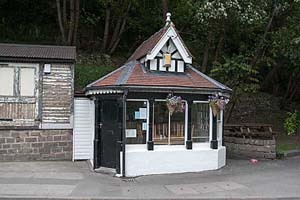 Toilet facilities available here, at what was known as High Peak Junction. Now follow the steep incline which is the start of the High Peak Trail. Pass under a bridge, taking the A6 to Cromford, and continue up hill until you reach the top. where there is a gate. 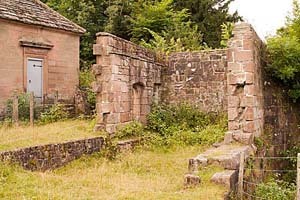 Pass through the gate and on your left is the Sheep Pasture engine house first opened in 1830. It contained a stationary engine built by the Butterley Company and was used to haul the wagons up and down the 1 in 8 slope, 1320 yards from High Peak Junction. Here is also a circular trenched platform used to a horizontal pulley and gearing wheel round which, winching cable was passed. Continue along this path until you see a sign for Cromford on your right. 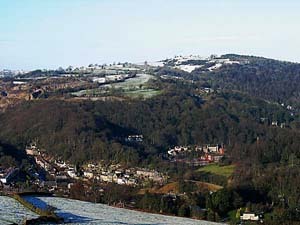 Great views can be had from up here of Cromford and the Derwent valley towards Matlock. 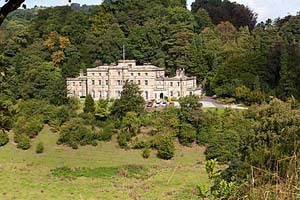 Also of Willersley castle, built by Arkwright for his own use, but he never actually moved into it. It is now a hotel. At the sign post, take the path through the woods. It leads to a tarmac path and some cottages.Follow this path round, past some more houses until you reach an estate. Cross directly opposite into Bedehouse lane. This takes you down onto thw main Wirksworth-Cromford road. Turn right back into Cromford centre, passing North St on your right, with the Bell inn on the corner. For his achievements, Arkwright is often called the father of the industrial revolution, and was knighted. His work helped to change the industrial landscape of England forever, and paved the way for better conditions for its labour force. 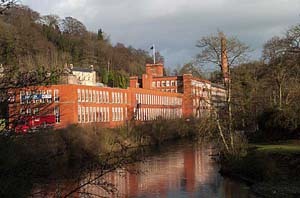 Close by, on the A6 towards Matlock Bath is one of Arkwrights other mills Masson mill, built in 1783. It is still operated as a cotton spinning mill, though on a much smaller scale, Most of this mill has been taken over by shops. 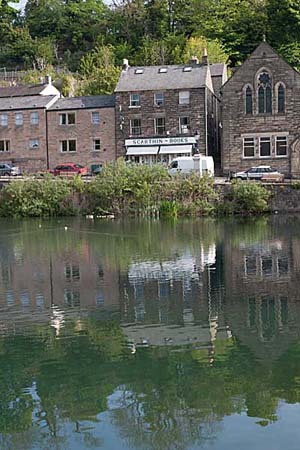 There are 3 pubs in Cromford, one of which, the Greyhound Hotel was built by Arkwright, to house visitors to the mill and for the use by the local labour force. 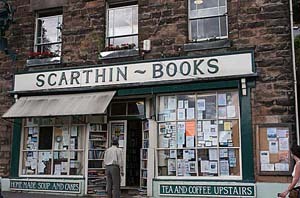 The other 2 are the Bell inn on North street and the Boat Inn on scarthin lane, where there is also an excellent little bookshop. The Bell is a listed building as part of Arkwrights development on the corner of North street. 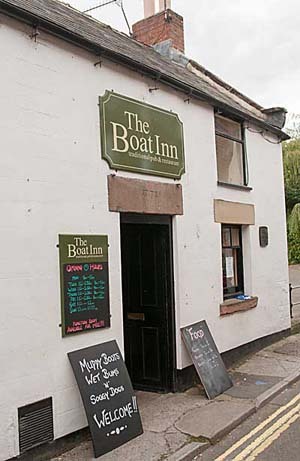 It was once known as the Blue Bell. The pond behind the Greyhound was one of the impounding resevoirs that held water from Bonsall Brook but is now home to many swans and ducks. St Marys church just below the mill was built in 1797 and contains Arkwrights tomb. 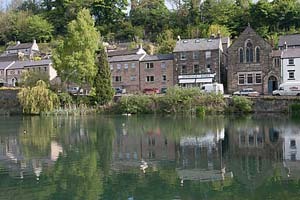 Cromford is an excellent fly-fishing centre and good rock-climbing is to be had nearby. 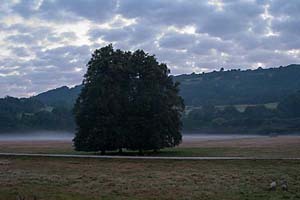 The Cromford Steam Fair is an annual event held in Cromford meadows. Another Cromford resident who rose to fame was Alison Uttley 1884-1976, noted for her `little Grey Rabbit` and`Sam Pig` stories. Exhibition showing the history of lead mining throughout the Peak District. Visitors can operate rag and chain pumps and climb shafts. A rare collection of Rhododendrons, Azaleas, Alpines and Conifers in a lovely setting. There is a garden shop and a tea room where light lunches are available. From Derby, take the A6 north, pass through, Belper, Ambergate, Whatstandwell and onto Cromford. 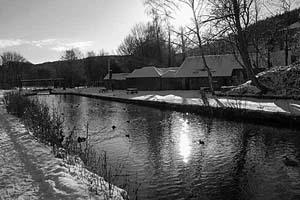 There are a few car parks in the area, but for exploring the old mill or a walk down the canal, park at either of these places which are situated a few hundred yards down the Cromford to Holloway road, which means turning right at the crossroads. 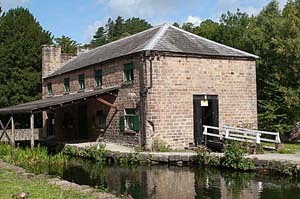 The mill car park is on your left and 30 yards further on, is the cromford canal car park on your right. There are toilet facilities, close by to both parks.